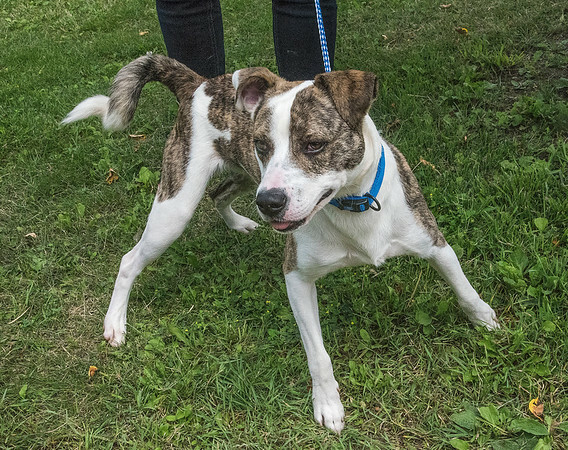 Sanborn, NY - Chesney, a Terrier/ American Pit Bull mix is ready to get your ball. Look at him, he's ready! Just throw and he will get it for you! As the Niagara Gazette Pet of the Week, 2 year old Chesney's adoption fee is only $67.50, half off.